In the Image of our Creativity - God's Desire to Molding Us. My family was and is overflowing with creativity. 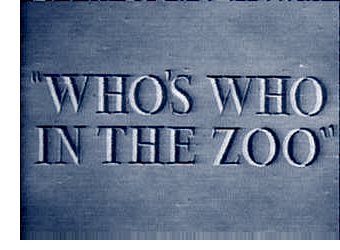 My father wrote many books, the cutest title being “Who’s Who in the Zoo!” Check out Ralph De Sola sometime. He wrote the definitive Abbreviations dictionaries, but insisted, quixotic style, on including in each edition a section on euphemisms. Since he was an atheist until almost the last month of his life, he relied on me for Catholic euphemisms such as “I’m not comfortable with what you just said” being a euphemism for “I hate what you say.” My mother was an editor who also wrote plays. My husband wrote plays and books (check out Children of the Breath, a novel about what Jesus and Satan talked about during the rest of the 40 Days in the Desert – Martin Chervin on the web). My son composed chamber music (see my web for Music of Charles Chervin). One daughter, Carla Conley, writes prize winning poetry and another Diana Jump writes uproarious stories of family trips. A grandson is publishing novels – check out Nicholas Conley, and another gandson is starting to compose piano music. All of the writers are better at this skill than I am, but they are less well known because they lacked or lack something I have in abundance – over-weening ambition and constant prayer to the Holy Spirit. Anyhow – once I was feeling bad about my orphan books – these are unpublished manuscripts, among my best. I finally put these all up free on rondachervin.com. In the midst of grieving these little read “children,” I heard this inner message from the Holy Trinity: “Ronda, you know how much you love to create your books and talks and classes? We have a longing to create a new saint: you! Won’t you give us a little more time “in your busy schedule” to open yourself to us in quiet prayer so that we can better “melt you, mold you, fill you, and use you?” (old charismatic song). Since so many of you Watershed readers are also creative, you might want to ponder this analogy with your name in the message! Dr. Ronda has many free e-books and audios on her website rondachervin.com. If you go to her website and read or listen and then want to correspond with her she will be available. Her schedule does not permit, however, responding to comments on the Blog, though she enjoys reading them. Dr. Ronda’s newest project is spiritualityrunningtogod.com.